The Republic, As If - which was published last year but is banned in Egypt - is set during the events of the popular uprising in 2011 that forced Mubarak to resign. It criticises Egypt's state institutions, parliament, constitution and courts. In a column for Deutsche Welle on Tuesday, Aswany wrote that he learnt at the weekend that he had been "referred to a military court, accused of having insulted the head of state and incited hatred against the regime, as a result of my most recent novel and what I write for DW". "My only crime is being an author, expressing my opinion, and criticising those who deserve it, even if it's [President Abdul Fattah] al-Sisi," he added, referring to the former field marshal who led the military's overthrow of Mubarak's democratically elected successor in 2013 following mass protests. Aswany said the case against him violated Article 65 of the Egyptian constitution, which states that "freedom of thought and opinion is guaranteed", as well as Article 19 of the Universal Declaration of Human Rights, to which Egypt is a signatory. The author also revealed in his latest DW column that after Mr Sisi came to power he had been banned from appearing on television in Egypt and from writing for local newspapers, and subjected to a "fierce" smear campaign. 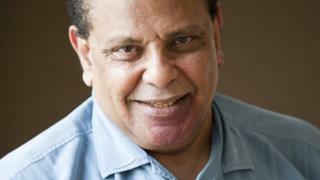 He said he had also been detained at Cairo airport and faced harassment whenever he travelled. "To the military prosecutor general, if my crime is to openly express my thoughts, I recognise that and am proud of them," he declared. A military official told the Associated Press on Wednesday that many celebrities faced complaints and that when prosecutors decided to press charges they would "make a statement". A number of Egyptian activists have expressed solidarity with Aswany, including the human rights lawyer Gamal Eid who wrote: "I respect this accused man and I defend his right to commit this crime, if it is a crime!" In a separate development on Tuesday, Egypt's Supreme Council for the Administration of the Media was given the power to block websites and social media accounts with more than 5,000 followers if they publish "fake news" or incite people to break the law.